You can get exceptional discounts for Samsung SCX-6322DN laser printer toners here from Cartridge Save. With our company you cannot go wrong in regard to the cheapest Samsung laser toner cartridges. When buying with Cartridge Save, you'll not need to use ages searching local stores to find the Samsung supplies you'll need. If you want to get the lowest discounts and the leading customer care, choose Cartridge Save! You'll have total peace of mind when you order replacement Samsung SCX6322DN toner with us because of the extensive refund promise, which comes as standard on everything. We'll make it easy to spend even less money on toners as everything we offer comes with totally free delivery, normally delivered next business day! A reliable multifunction unit for offices, the Samsung SCX-6322DN all-in-one can scan, copy, fax, and print, an ideal solution for all document handling needs. Additionally, the device offers auto duplex printing and built-in networking, which makes it easier to share the unit over groups. The duplex unit cuts paper costs by 50%, while the built-in document feeder eliminates the need for manual feeding of documents to be scanned or copied. The Samsung SCX-6322DN MFP printer may not offer the fastest speeds, but its average rate of 22 ppm is good enough to accommodate office needs. However, the Samsung SCX6322DN mono laser still does not support colour printing, but overall, it offers great value. The Samsung SCX-6322DN mono laser multifunction printer has a sleek grey finish, which adds to the elegance of the unit. Not only is it built stylishly, the SCX-6322DN also offers great functionality, especially with the unit's built-in document feeder, duplexer, and network interface, which all add versatility. 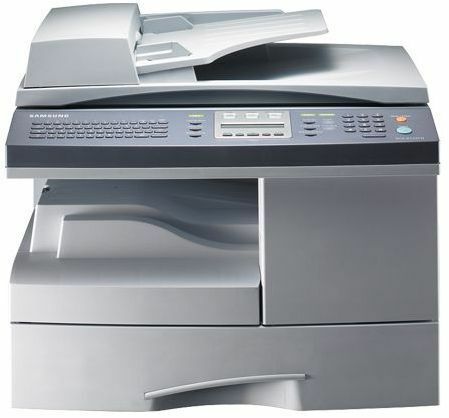 The Samsung SCX-6322DN printer even offers dual fax capabilities, with its standard faxing and PC fax options. Digital faxes can conveniently be sent and received from connected PCs. Print quality and scan resolutions are at the top of their class. The Samsung SCX-6322DN monochrome laser printer offers high resolutions up to 1200x600, while copies produced have maximum resolutions up to 600 dpi. Scan resolutions are excellent at 4800x4800 dpi. The Samsung SCX 6322DN laser printer is also ahead of its competition in terms of affordability, with its economical SCX-6322DN cartridges that offer a high yield of 8,000 pages. Auto duplexing comes as a standard, as well as networking, making the unit more suitable for shared environments. However, the Samsung SCX6322DN multifunction printer falls behind when it comes to print speeds. Its monochrome print engine also limits versatility.